Young Hearts Run Free is the fifth studio album by Candi Staton, released in 1976 on Warner Brothers. 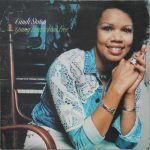 Canzetta Maria “Candi” Staton (born March 13, 1940 in Hanceville, Alabama) is an American soul and gospel singer, best known in the United States for her 1970 remake of Tammy Wynette’s “Stand By Your Man” and her 1976 disco chart-topper “Young Hearts Run Free”. In Europe, her biggest selling record is the anthemic “You Got the Love” from 1986, released in collaboration with the Source. Staton was inducted into the Christian Music Hall of Fame. Staton is a four-time Grammy Award nominee. Published By – DaAnn Music Corp. Published By – Al Green Music Corp. Published By – Brown Sugar Music Corp.